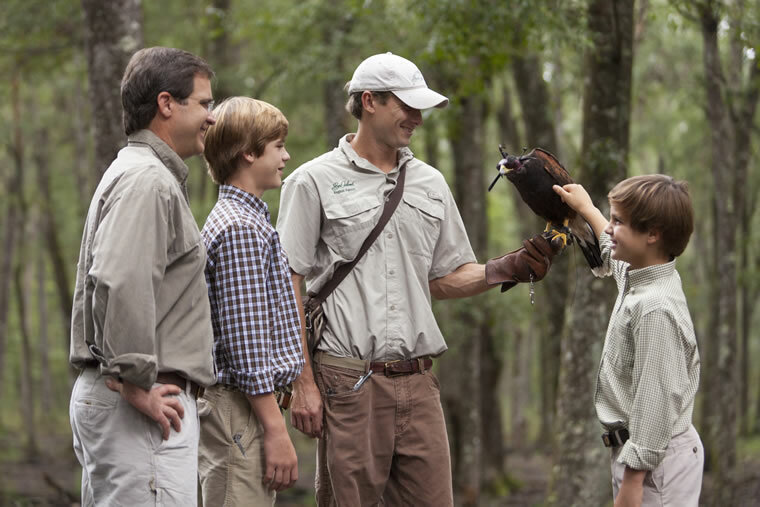 Falconry demonstrations are available in addition to hunting experiences. Hunting at Broadfield is always memorable and, for some families, it’s also a longtime tradition. Family traditions promote strong bonds and lasting memories, and few stand out more than family hunting trips. At Broadfield, A Sea Island Sporting Club and Lodge, many of the same groups return year after year to perfect their skills. In fact, for some families, a visit to Broadfield marks the beginning of the tradition. “We have this great opportunity to introduce new people to the sport and heritage of hunting,” says Lee Barber, the manager of Broadfield. “We do a lot of father/son or father/daughter hunts.” Such was the case for Mike Granuzzo of Jacksonville Beach, Florida, who hunted at Broadfield first with his son, Connor, and last year with both Connor and daughter, Lena. Families can hunt together at Broadfield. Barber says he appreciates the opportunity to introduce hunting to beginners, although experienced hunters will feel right at home at Broadfield as well. 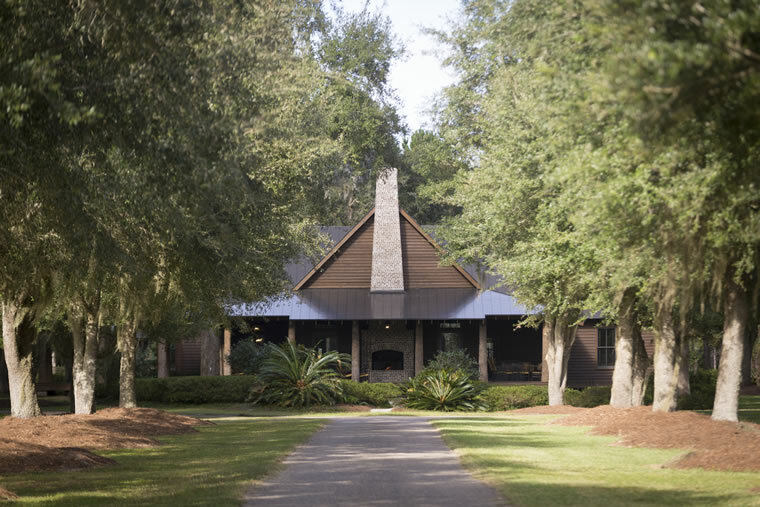 The property’s pristine 5,800 acres provide space for Sea Island and Broadfield members and resort guests to hunt quail and shoot continental pheasant; pursue deer, boars, doves and wild turkeys; and take advantage of the five-stand and sporting clay shooting courses as well as pistol and rifle ranges. In addition, two freshwater lakes stocked with largemouth bass ensure plenty of opportunities for fishing. For a more unique experience, visitors can watch a falconer and a trained bird of prey work together to bring down quarry. 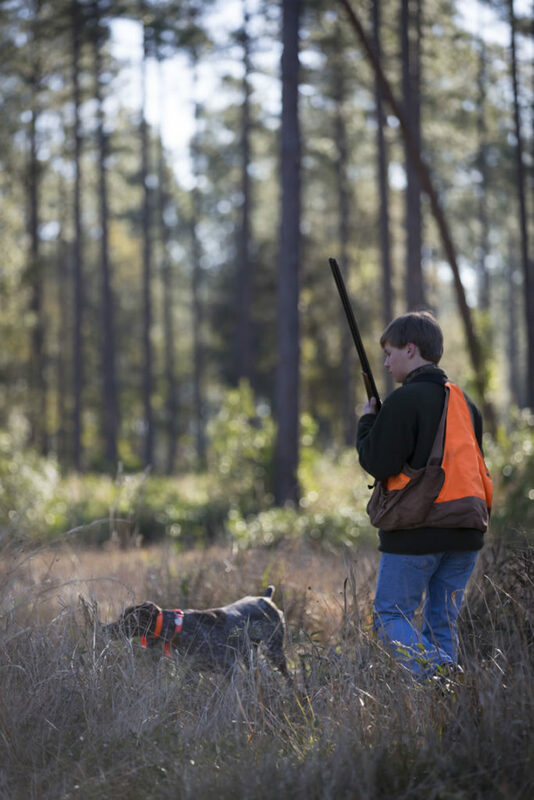 Shooters are limited to four per guide, although non-shooters—such as children younger than 13—may accompany the hunt. Quail hunts can last for a half day or a full day, as can pheasant shoots, which are held at Broadfield’s 40-foot tower, surrounded by 11 blinds, with up to two shooters per blind. Barber says that they release 220 pheasants, one bird at a time. “Every 20 birds, we rotate so each person gets to hunt each blind,” he adds. At the end of the hunt, Broadfield staff clean all bagged game for the participants. Many guests are repeat visitors, which Barber attributes to the welcoming nature of longtime employees. “They are the same people that the guests have been seeing since they started,” he says. “We have very low turnover.” Barber himself is third-generation staff, beginning with his great-grandfather. “If half of the family members are interested in going on a quail hunt and the other half wants to do falconry or shoot on the ranges, we can accommodate that,” Barber explains. “We realize that this is your big event for the year and we want to offer Southern hospitality.” It doesn’t matter if it’s a guest’s first time or 50th, he says. Outdoor adventures at Broadfield, A Sea Island Sporting Club and Lodge, vary by the season. Fall and winter are the ideal times for quail and pheasant hunts, which typically run from October to March. Equipment and a Southern-style lunch are provided during both experiences. Falconry is also popular during the cooler months, with a special program that allows members and guests to observe the raptors’ different hunting styles. The many shooting courses and ranges are also open in fall and winter.